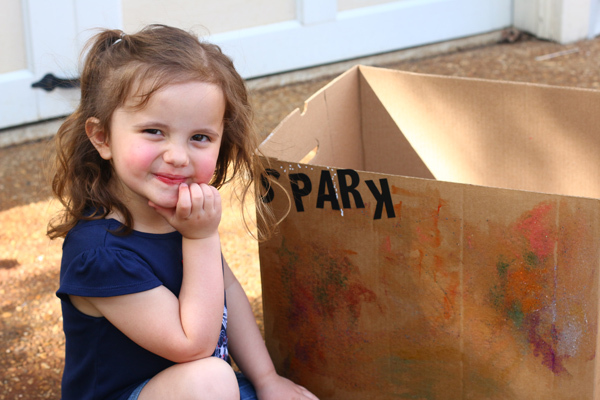 This post about cardboard box cars is part of a year-long sponsored series with Elmer’s. This is not that type of project. 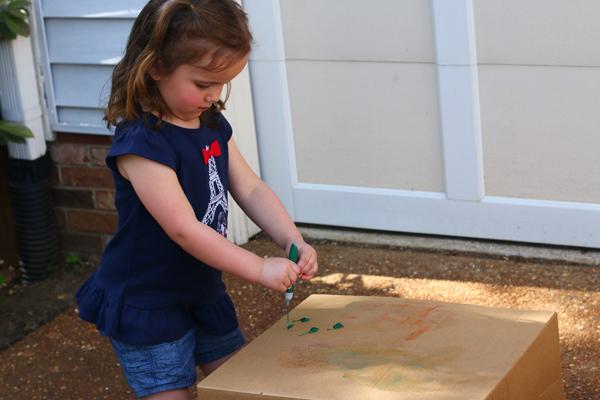 Over the years I have found that nothing inspires my children’s creativity like cardboard boxes and a few Elmer’s art supplies. 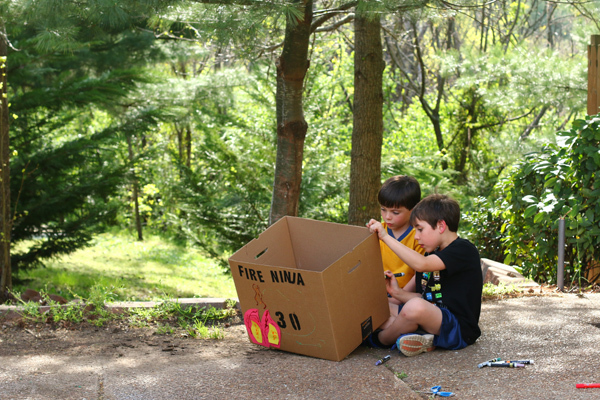 Making cardboard box cars is always a hit! Warm weather makes it even better because it can be done outdoors. This is not a fancy project, but IS the type of project your children will enjoy doing for hours. 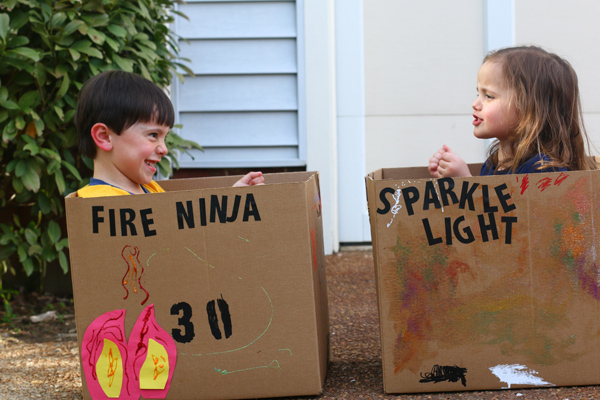 We made these cardboard box cars a few weeks ago and Elias and Adeline had a blast. At one point, Elias’s neighbor friend came over and joined in the fun. It was so neat to see him pick up some paint pens and get right in on the activity. 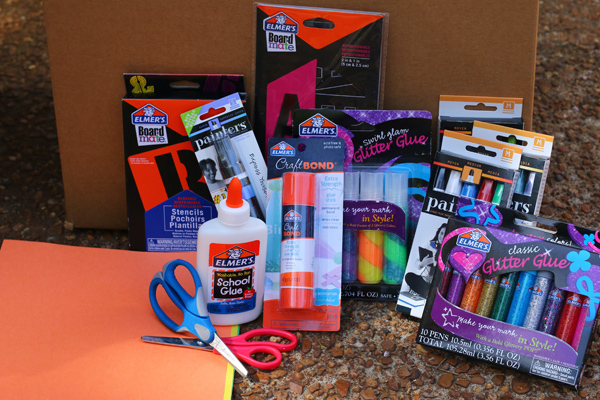 As you are opening the supplies, ask your kids what they would like to create. It is fine to guide, but don’t be too heavy-headed. Encourage them to use their imaginations. For instance, I suggested that Elias & Adeline make cardboard box cars and my son exclaimed, “let’s make race cars!” This led to each of them naming their cars and pretending to race one another when the cardboard box cars were complete.Never mind that they didn’t have wheels – details don’t matter when you are a child! 1. Be sure to clean out the boxes of any paper/bubble wrap. Also remove any excess tape and address labels. 2. Talk to your child about what they want to make and how they want to start. 4. Help your child only as needed. This isn’t about creating a Pinterest-perfect project. Rather, you are inspiring your child to use his or her’s imagination. 5. When the cars are finished, compliment your child’s art. Celebrate what makes the car unique. 7. Laugh and have fun! 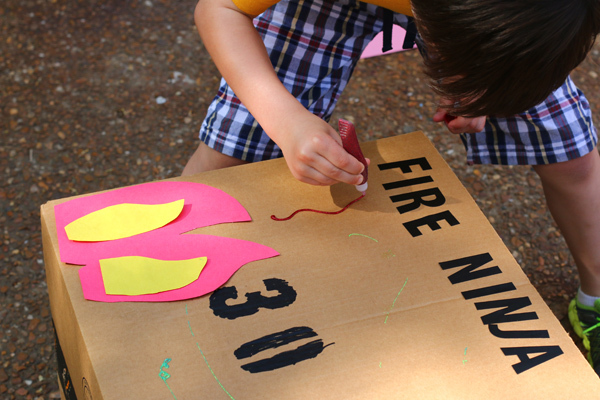 These types of projects are a perfect way to encourage your kids to use their imaginations while enjoying the warm summer weather. 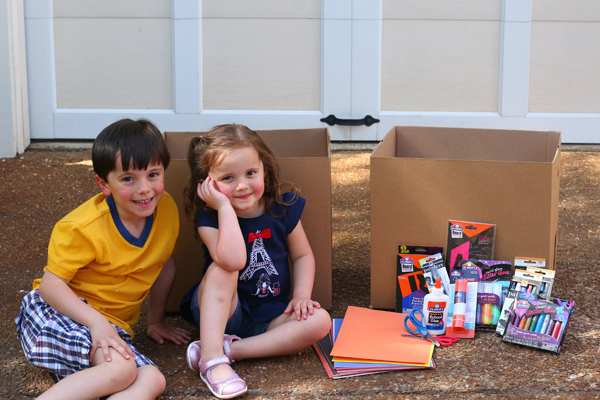 Speaking of summer activities, I’m so excited that Elmer’s recently launched a FREE summer ebook of activities you can do with your kids and they included this project. 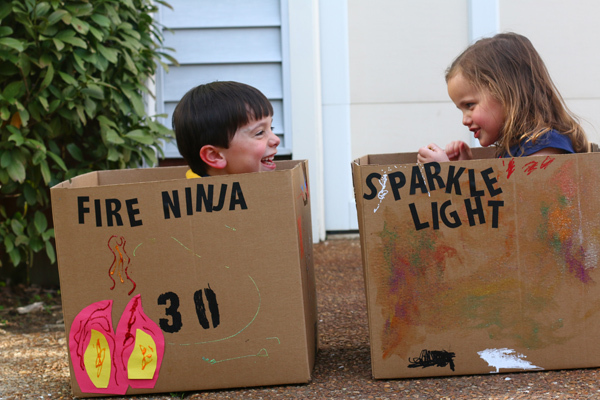 When they first reached out to me, I said how about making something out of cardboard boxes and they said sure. Their willingness to include a far-less-than-Pinterest perfect project went a long way with me. It said that they really understand that projects aren’t always about the finished result, and for that, I am grateful. Sign up for their email list and receive the ebook here. 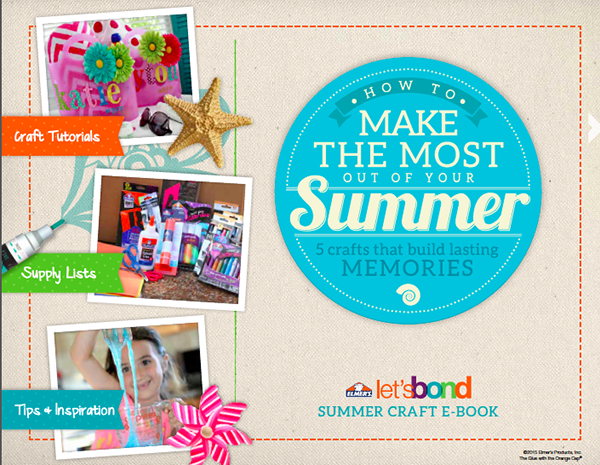 Share your summer crafting moments online with the hashtag #ElmersSummerCrafts. Next article: Best News Ever: TARGET! THESE are the things of childhood! YES! If only we had the discipline to kill the electronics (for a while, at least 😉 ) and let imaginations run wild! 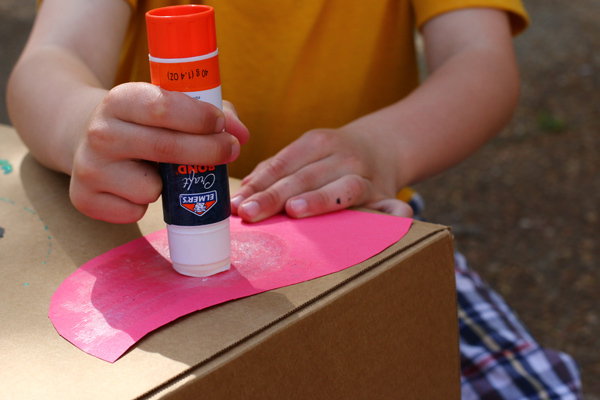 Glue/glitter/paper AND BOXES transport kids to another realm. Oh, how I love this. 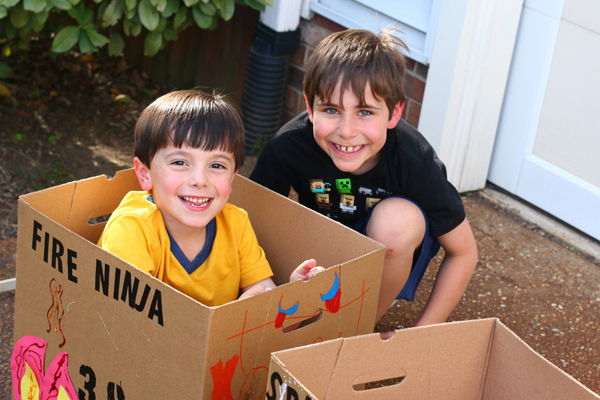 My kids LOVE creating things with cardboard boxes!! That looks really fun! Now you’ll have to make a “drive-in” movie night! Maybe they can drive their cars into the living room and have pop-corn etc.! We did this two weeks ago! We then had a “drive-in” movie night as suggested above. It was so fun! I love this. Annalyn is at her happiest making an enormous mess of our dining room table because I let her loose with paper, tape, scissors and markers. The mess drives me nuts, but I love seeing her imagination and creativity grow!